Safe and effective, Professional CPAP Wipes will NOT damage CPAP masks, tubing or machines. They are alcohol and latex free, biodegradable, and gentle on your hands and face. Each easy-dispensing canister contains 62-wipes. 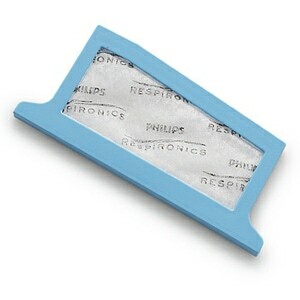 Professional CPAP Mask Wipes are sealed with a foil wrapper. The wrapper should have a small pin hole for depressurization during in-flight transport. I found them too thin, too stringy. I will be canceling. The wipes arrived quickly - good service. They don't seem to have any fragrance, which is good - smells mostly like wet clothes. Cleaned well and didn't seem too thin. I removed the first wipe with tweezers since most products don't come out of the canister very well. The product, however, is not made in the US as claimed, but in Israel. 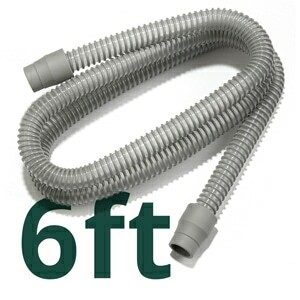 The CPAP Mask & Tube Cleaning Wipes are excellent - I would purchase them again. I like the convenience of having the wipes when I'm pressed for time. They clean but don't leave any residue or odor, My mask dries quickly so there's no waiting or wiping it down with a dry cloth. Fast shipping. Will buy more products. 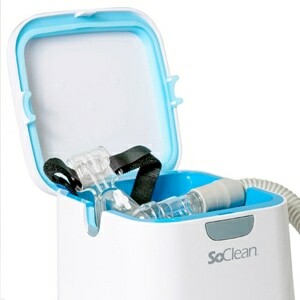 These easily remove the facial oils from my mask, as well as any germs my so clean 2 machine may miss. These cpap wipes are great!! They do the job. They don't leave behind a funny smell & really wipe down the mask well. I have tried others but really llike these. I am very pleased with my wipes. They are user friendly! Well worth the price. Will purchase again when I run out. I love these wipes. So easy and convenient. Works well in preserving the integrity of my mask. I have been trying differnt things to cleen the mask what ever I used I did not like the smell, these wipes work great love the smell. These cleaning wipes are ok, but they do smell, but not fragranced. I can't get them down the hoses. Next time I will get a liquid. Items arrived on time and as described. Love these wipes! My husband loves them. No scent and gets the mask clean before use each night. The wipes are extremely thin but clean the mask well. They're also great to put in a ziplock bag for traveling. They're white, odorless and wet! The seal on the tub is very difficult to remove and once it is open the wipes are so jammed in that it is nearly impossible to get a start to them. Finally I pulled out a few dozen sheets to make it work! Very quick and handy for easy daily cleaning of my full face mask. Pretty disappointed with these wipes. They are not much thicker than tissue paper and tear very easily. It's the last time I buy this brand. Easy to use, especially cleaning my mask which fits into my nostrils. Wish I had been using these handy wipes years ago! We ordered these wipes instead of purchasing the name brand that we received with our cpap masks. They are 100% as good and much, much cheaper. We will definitely get more in the future. 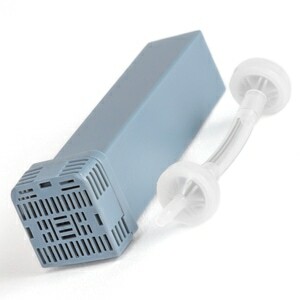 Good product , convenient and easy to use. I enjoy being able to clean the mask without soap and water, this is much milder and i am not getting rash from the dish soap. the whole container works great not like baby wipes that you cannot separate, these just come apart real easily and one wipe cleans the whole mask inside then outside totally...just love it. Not much to say here, they came and they work great! No scent so that is good, and it is nice to have a clean nose piece. My sister's natural skin oils and all the lotions her employees put on her face leave the mask feeling oily. These wipes remove that oil, which is good for my sister's skin and for the lifespan of the mask. Also, as it's easier to use a wipe than to walk all the way to a sink and wash the mask, the health care aides are doing a better job keeping the mask clean. These are a very nice CPAP mask wipes. They come in a container and pop up like any type of wipe. They are a cotton cloth like material and are strong and easy to use. The greatest part is that they don't have any citrus or perfume smell. This can be a problem if the wipe you use is scented wipe. The smell is overwhelming. The only down side is that they would be difficult to travel with. I wish they made an individually wrapped option. First time user of the wipes. Not much moisture to them and to use one wipe per cleaning is overkill. Order processing and shipping along with the price was fantastic. These are easy to use and last a long time when you use one a week. No harse odors, just clean gear. These are all cotton & should be strong. Not sure how to use them to clean the hose, but wipes work super on the mask. 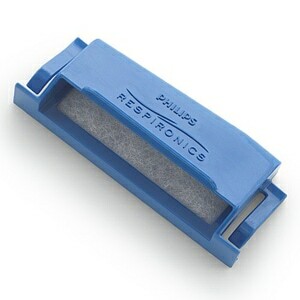 I am glad to find a product designed specifically for my CPAP & that its unscented. Very easy to use, much easier than the spray. Being new to the Bipap world, thought it was a pain to have to disconnect my mask every morning to clean. Looking for an easy way to do this and noticed you are not supposed to use any sort of alcohol or strong detergent products as it could cause undue wear on the mask. Found this item and it does seem to do what it is intended for. I use these wipes every day. They do not leave an unpleasant odor and well cleaned. these are truely great, they are a soft cotton and dont leave an unpleasant smell when your finished. i use them everyday and i feel confident my equipment is clean.